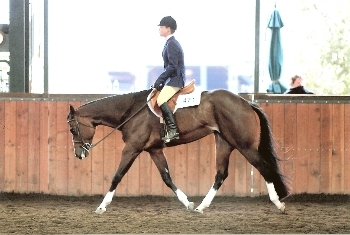 Emma is a beautiful elegant 16.2h mare by the great TB Stallion Memo. This mare has such a flat kneed sweepy trot that she passes on to all of her foals. Emma has the longest neck that just hangs out there as she moves. She is a Multiple World and Res World Champion, AQHA Congress Res Champion, APHA Congress Champion, Top Five & Ten World Show and multiple futurity winning producer. All of her babies have her kind and gentle disposition and way of going! See below for her past foals. Katniss is as talented as her full brother The Wow Factor!! 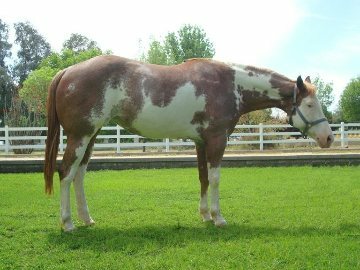 She is a 7x APHA World Champion, 2x APHA Res Worldd Champion, 4x World Show Futurity Champion, Res QH Congress Champion and 3rd at the NSBA World Show!! She has earned over $12,000 in futurity earnings! We cant wait to see what she will produce for us! 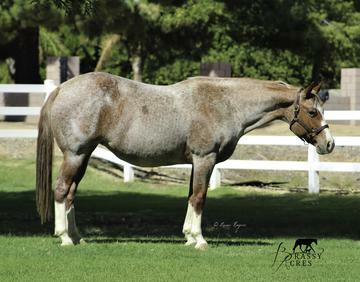 "Katniss" is confirmed in foal to Im The Only One for a 2019 bay overo!! 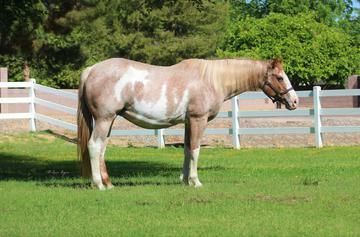 Dazzle is a 1 in a Million mare and we are SO thankful to have the opportunity to lease her! A huge thank you to Gemma Kaye-Hudson and the Wittingtons for this wonderful opportunity! Dazzle has 18 World Titles in multiple events! Dazzle is in foal to The Wow Factor for another gorgeous Dun Overo foal in 2018!! Sophie is a huge 17.1h daughter of the late and great Skys Blue Boy! 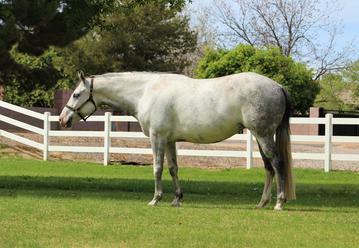 She has a phenominal trot and we are so excited to see her foals for us! Chloe was born and raised here! We are so excited to lease her back to breed to Neo! Cant wait to see what she has for us! Thank you to Gennifer Trapp for the opportunity!! Zeva is a 16.3h daughter of Skys Blue boy who has been a great producer!! We are excited to have her and cant wait to see what she has for us! 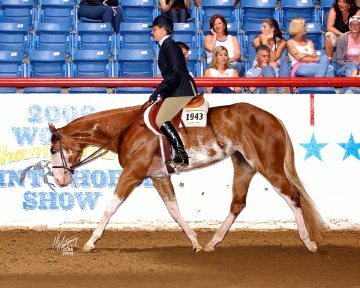 Libby has been an amazing show horse with loads of points in APHA, AQHA and PtHA. 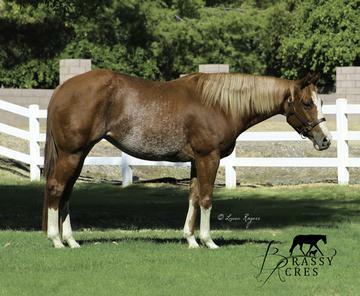 She is a multiple futurity winner along with many show and year end hi point awards. We cant wait to see what this amazing girl produces for us. She is truely a once in a limetime mare and we love her to pieces! 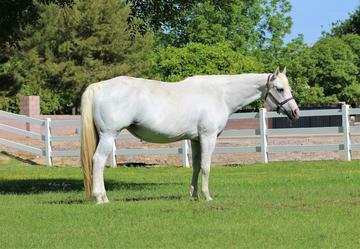 Aubrey is fantastic mare that has 50+ points and has produced some great babies! She is a 100% color producer so far! Looking forward to seeing what she has for us!!! Stockings is an amazing mare and we are so thankful to have this amazing double registered mare by the late and great ZMGB!!! Angel is a beautiful mare with great legs by the great Huntin For Chocolate! We are so excited to have her!! Gabby is as sweet and pretty as they come! We love having her around and cant wait to see what she has for us! 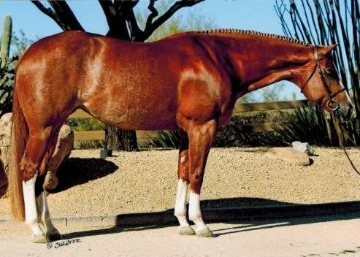 This beautiful, big mare is by the late Red Charisma (who was a World Champion and All Time Leading sire of HUS horses) and out of a Multiple Reserve World Champion and Congress Champion Mare with over 1040 points!!! Daisy also has over 90 PtHA points with very limited showing. So far she is 6 for 7 overos on even the most solid of QHs! Daisy is a Multiple World and Res World Champion and multiple futurity champion producer! 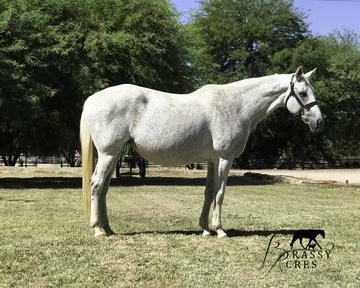 See her past foals below! We searched far and wide to find such a great mare and are beyond excited to have found her!! 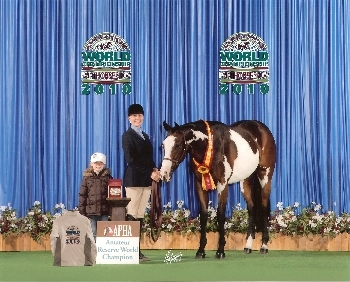 Paige has 98 HUS Points and was 3rd at the World Show in HUS! She is all we could hope for in a broodmare! We absolutely LOVE the Red Charisma mares and being out of the great mare Plain Proud (also the Dam to our great mare Miss Big Time Fancy) makes it just that much better! We cannot wait to see what this wonderful girl will throw for us!! A HUGE thank you to Jen Bender for the opportunity to own this amazing mare! "Paige" has been bred to the great All Time Fancy for a February 2016 baby! We are so so excited to have Lilly! She is a great mount for my kids and just so kind and loving! We love her so much! 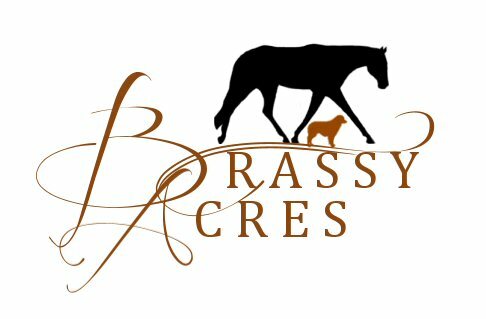 Lilly has ROMs in Open and Youth HUS, Youth Equitation and Horsemanship with very limited showing! With her great legs and pedigree we are so excited to see what she will produce for us! A HUGE thank you to Kristen Syburg and Julie DeBlaey for the opportunity to own and love this amazing mare! "Lilly" has been bred to the great All Time Fancy for a January 2016 baby! This amazing girl was born right here and we are SOO thankful to have her back here!! Belle is a super sweet 16.2 hand daughter of All Time Fancy, out of our great Multiple World and Res World Champion producing mare, Absolute Charisma. She has all three gears and is amazing to watch!! 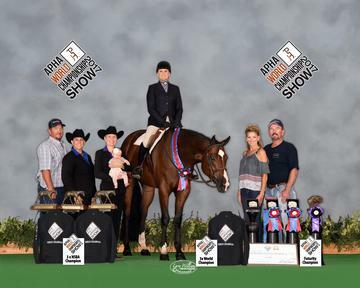 She is the California State 2yr Old HUS Champion and a Hunter Under Saddle Futurity Winner!!! "Pinky" is an own daughter of the late and great Luke At Me. 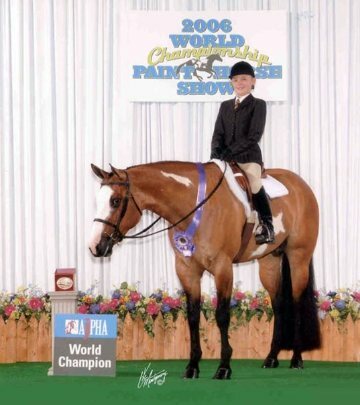 Who was an AQHA World Champion and Congress Champion and produced many World and Congress Champions as well. This mare is so puppy dog sweet and passes that on to all of her foals. Kind doesnt even begin to explain this awesome mare! Pinky is one of the fanciest moving mares I have seen. She has so much sweep to her stride and is just so ground covering and amazing to watch. Just floats across the ground! I cant wait to see what she produces for us!!!! Her first foal is already a longe line winner at his first show!!!! Thank you to everyone for your wonderful comments about this super mare! We are thankful to have her!! SOLD!!!! Watch for her babies in the show pen!! 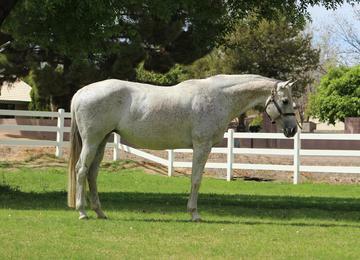 "J-Lo" is an honest 16.3h daughter of Res World Champion and Leading sire All Time Fancy. She is out of Sir N Zippidty who is a World Champion mare that has 570+ points and comes from a LONG line of World Champions. J-Lo is SO deadly legged and just an absolute FABULOUS mover. She has an ROM in Open HUS (15pts) with very limited showing! She is just a gorgeous mare to look at! She has a beautiful head, long neck and a hip that is amazing (hence her name J-Lo :) This mare could definitely halter!! J-Lo is everything we could hope for in a world class broodmare and we can't wait to see what she produces for us!!!! 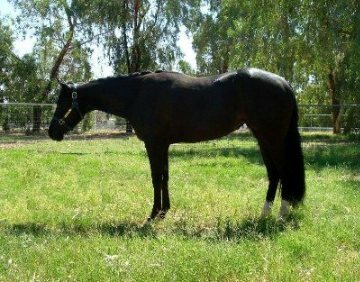 Click here to see a video of this fabulous moving mare!